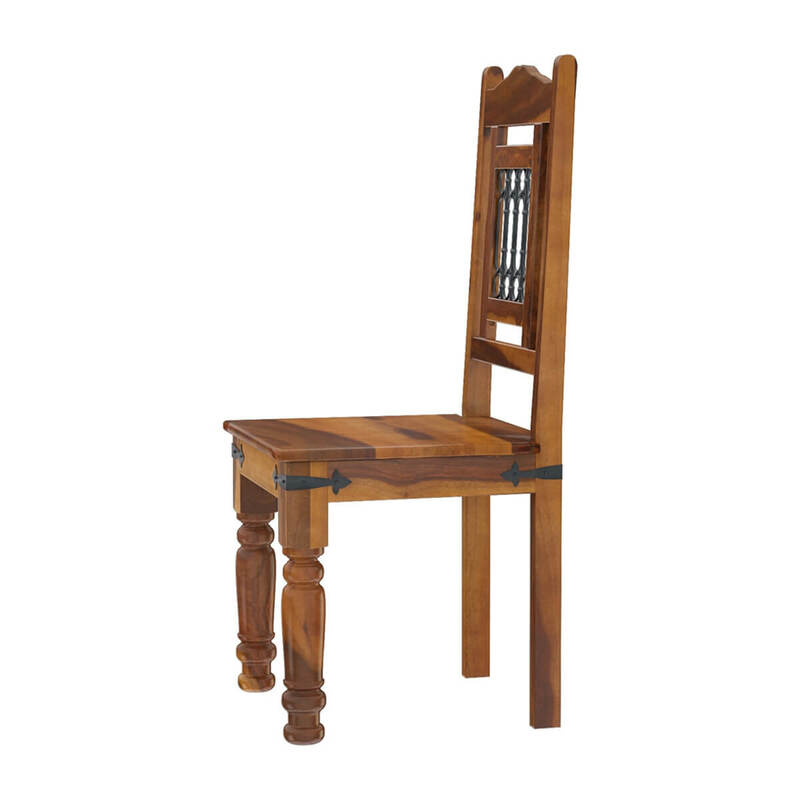 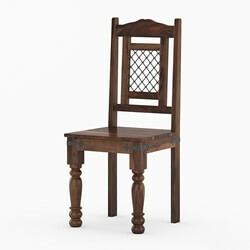 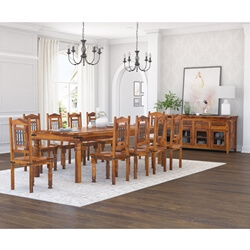 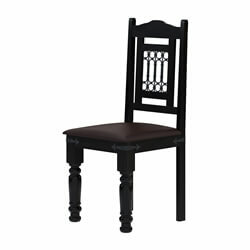 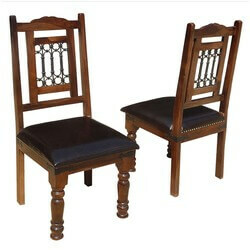 Craftsmanship and traditional styling define our set of two handmade high back dining room chairs with arms. 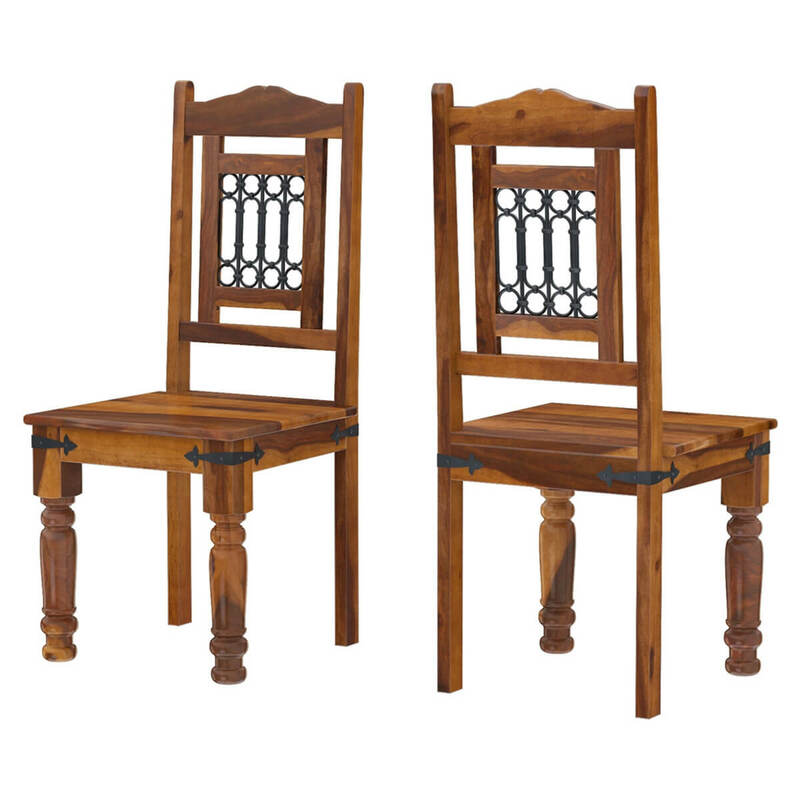 These classic handmade chairs are part of our San Francisco Collection. 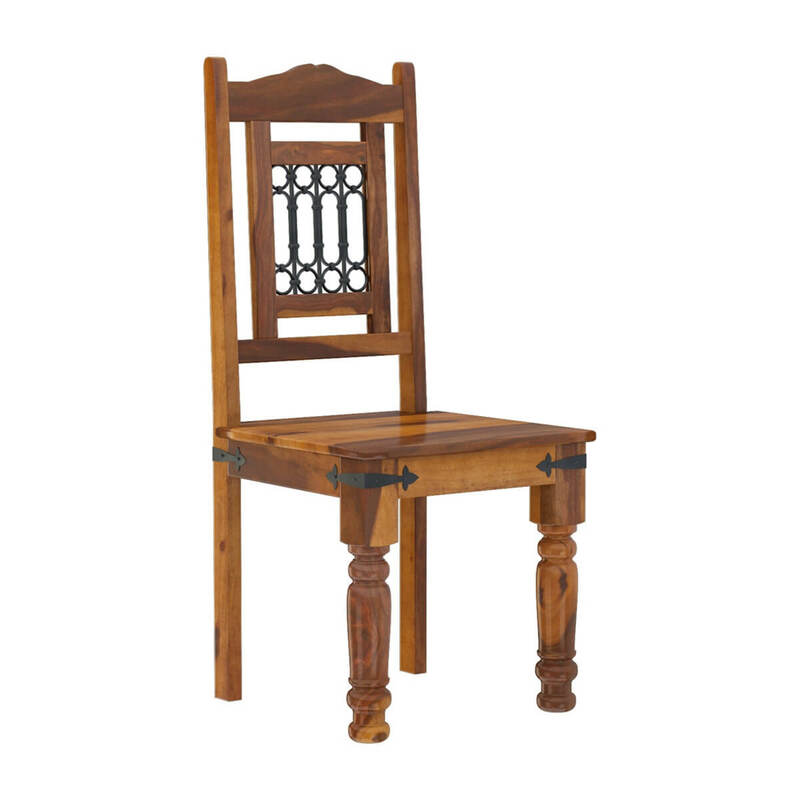 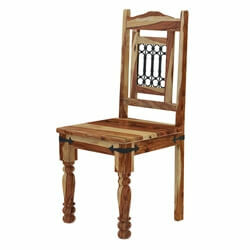 Each chair is constructed of Solid Wood, a superior hardwood. 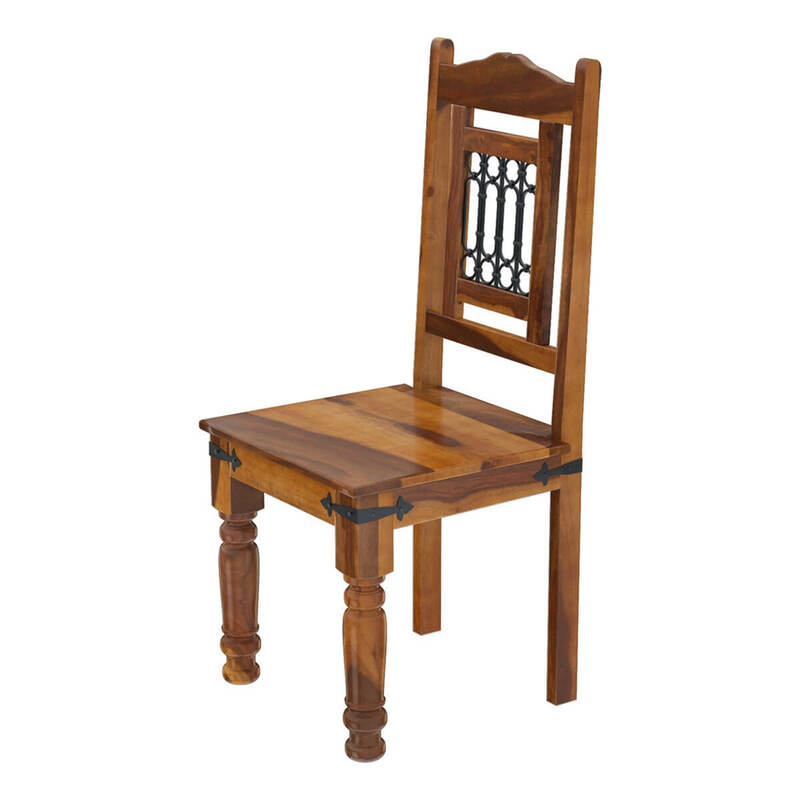 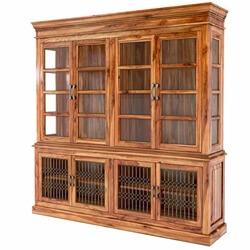 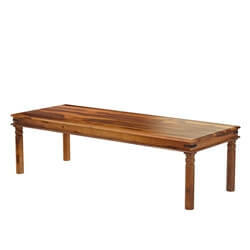 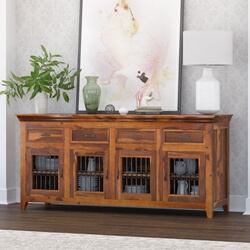 The wood's strength and durability make is a smart choice for high use furniture. 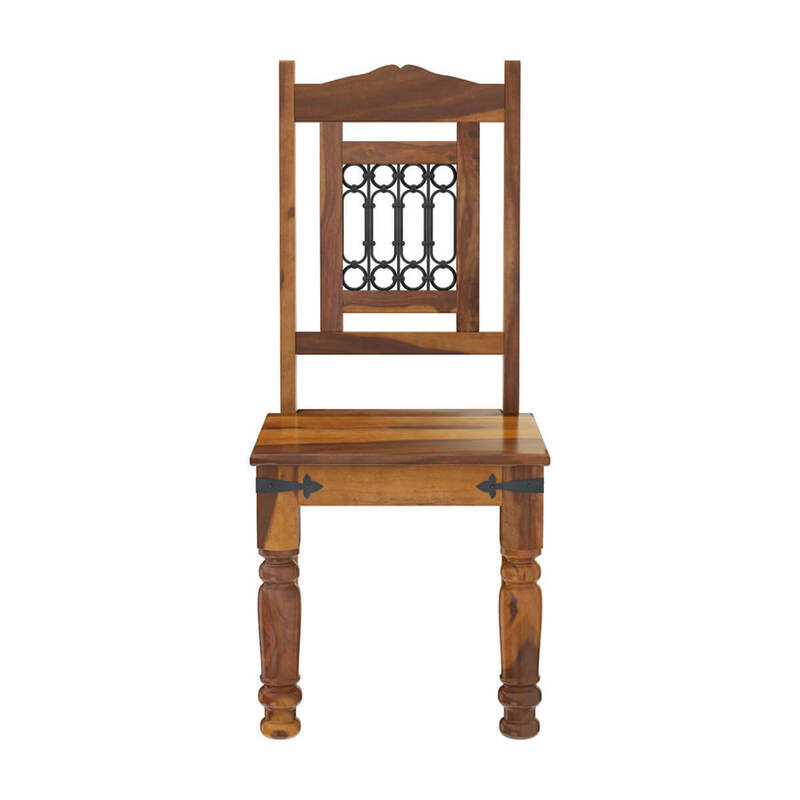 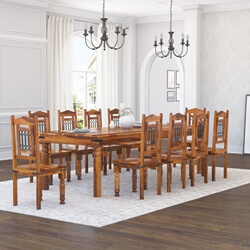 Each chair features an ornate iron grillwork panel framed in the chair's back, decorative iron brackets on the corner of the seat frame and country column front legs.